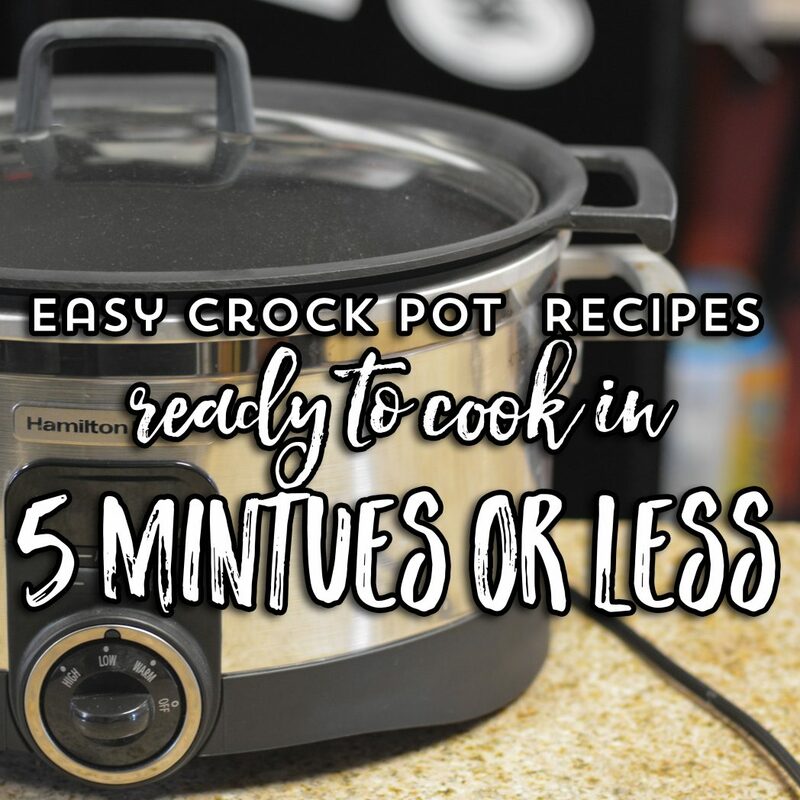 Easy Crock Pot Recipes- 5 minutes or less - Recipes That Crock! 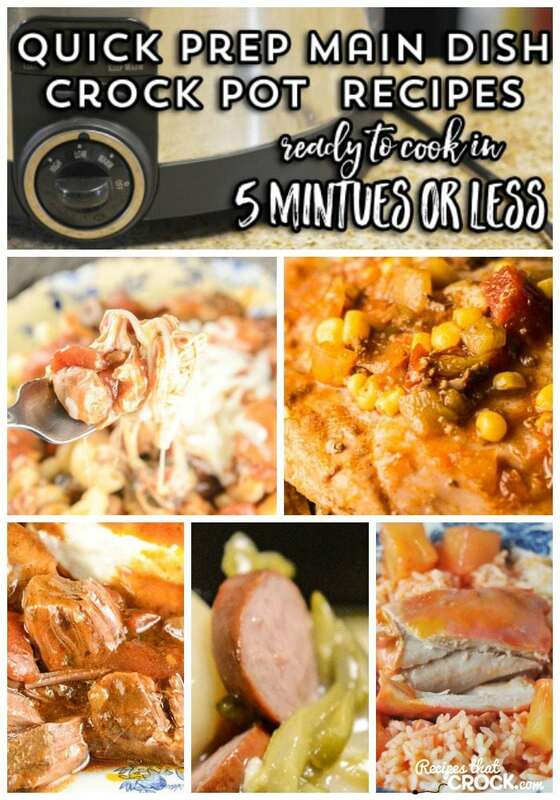 These easy crock pot recipes can be prepared in 5 minutes or less! Slow cooker recipes like these make busy back to school days so much easier and are a great way to use up your pantry canned food staples. 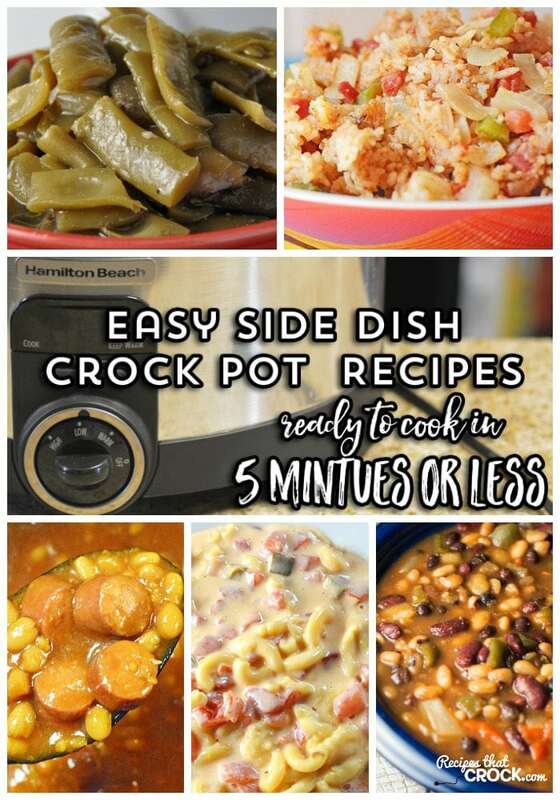 These crock pot main dish and side recipes make it easy to throw together a home cooked meal in a snap for your family to enjoy for dinner after a busy day. Big thanks to Cans Get You Cooking for sponsoring this post. Cris here. 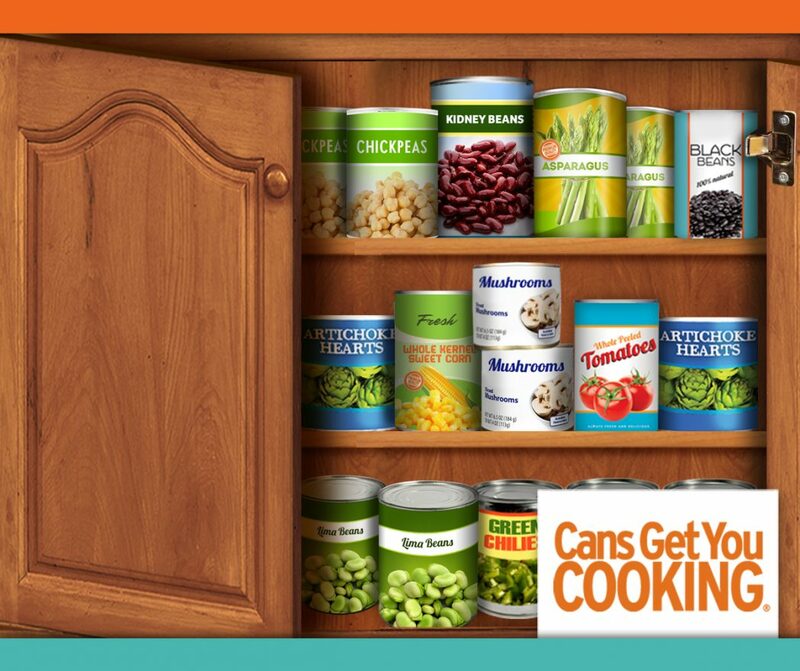 It is back to school season here in Indiana and I was thrilled when the good people from Cans Get You Cooking asked me to share with you a little about how my pantry helps me feed my family on those busy school days. 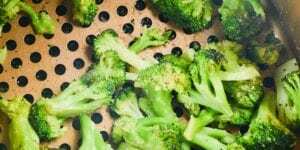 I instantly thought about all those really great quick prep recipes that are made possible because I can keep the key ingredients on hand in my pantry and throw into my crock pot in no time flat. I have always been a big fan of the convenience canned food offers me. By maintaining a well stocked pantry, I have a lot of options even when I do not have a lot of time. Aside from convenience, I also love the kind of flavors you can add to a dish straight from the can. Substituting chicken broth for water will almost always take the flavor up a notch in any crock pot recipe. Additionally, there are many canned beans, tomatoes, corn, etc. that have delicious additions like garlic, onion, basil, peppers, chilies and more already added into the can. I love using these kinds of ingredients to make a nutritious home cooked meal for my family even when our schedules are crazy. 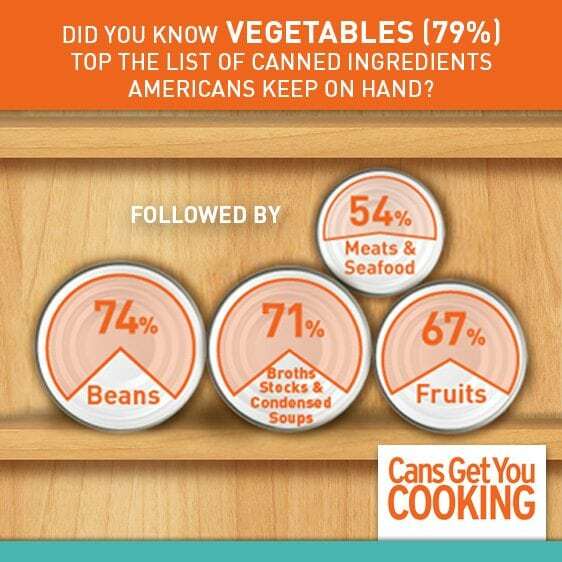 But how does the nutritional content of canned foods stack up to their frozen and fresh counterparts? Studies conducted by researchers at Michigan State University, UC Davis and Oregon State University all concluded that canned foods have similar (or better) nutritional profiles as their fresh or frozen equivalents. 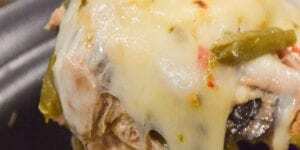 These crock pot main dish recipes are some of our go-to recipes on those busy back-to-school days. Truth be told, side dishes are often an afterthought in this house. I LOVE it when my slow cooker can help me not only put together a fantastic main dish but has my back with my side dishes. Here are some great side dishes that we love to crock! ENTER: Just comment below and tell me what canned food you always keep on hand? 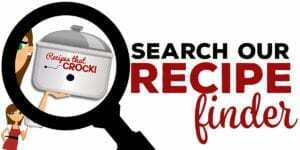 BONUS ENTRY: Tell me which recipes above you are most interested in trying? Color and model is not guaranteed. Contest ends at midnight on 8/30/2016. Winner will be notified by email and will have 48 hours to respond. 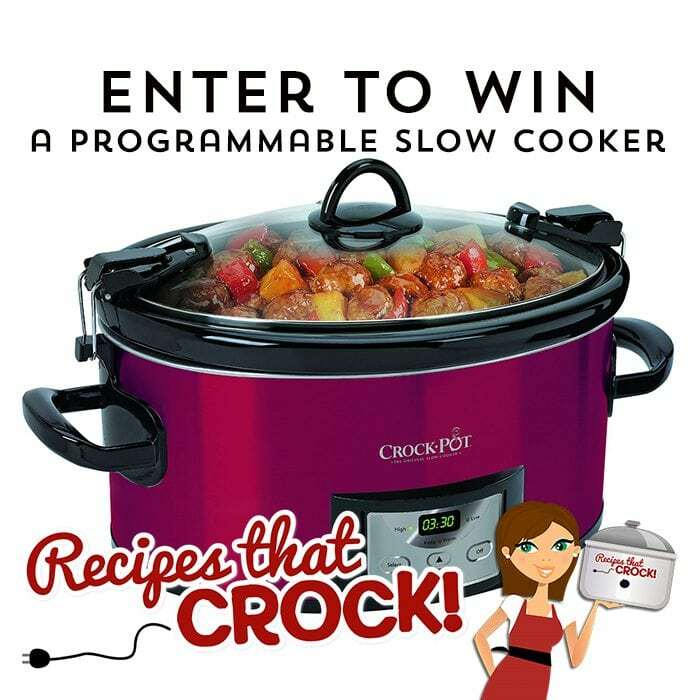 Winning slow cooker will be shipped to continental U. S. addresses only. Must be 18 to enter. GOODe Luck! I always have Rotel and stewed tomatoes on hand! I want to try breakfast recipes as I need to have something hearty on the table for my kiddos. Can chicken comes in handy. Right now I am cooking the crockpot sausage dinner. 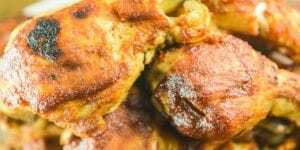 I want to make the apple cinnamon bread. I just got a can of apple pie filling. I keep canned corn beef hash . on hand love the stuff. I am dieing to try the crock pot sloppy joe cheese burgers . I’ve started stocking in some new things to try like,blk eyed peas,3 bean salad, hominy just to add some interest. I’d like to try the pork supper recipe next. 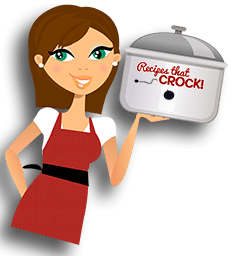 I smile every time I see that raspberry colored crock pot.What a happy addition.With all the time us girls put in our kitchen we should have some happy color choices! I always have cream of chicken and cream of mushroom and vegetables and broth. Always have chicken broth and cream of mushroom soup. Hoping to try mac ‘n cheese soon! I’m sure applesauce is in the cupboard for the apple cinnamon bread. I’m going to try the apple cinnamon bread. It sounds yummy. I always have cream of mushroom soup on hand and use it for sauces, and to flavour most of my meals. 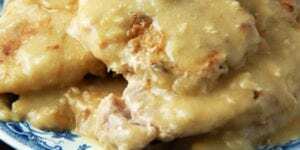 I would love to try the Crock Pot Italian Chicken, since chicken is the main meal servied in my house – next to fish. I always have corn, green beans, peaches, pears, and soups on hand. I would love to try the Italian roast and crock pot green beans. 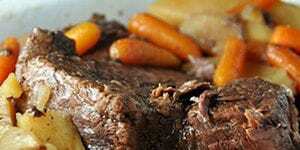 I have a good variety of canned goods ( Vegetables, Fruits and Sauce) The Italian Pot Roast sounds great. I loved the Crock Pot Party Beans! I definitely will be making them many more times! So the above recipe I would try is the one that included both canned items. Thx ! I keep black beans, pintos, garbonzos in the pantry. Tomatoes and those go to soups too! I told them, “From Recipes that Crock”, of course! You are my favorite !! Green beans, peas, corn & carrots, as well as cream of onion & cream of mushroom soup.